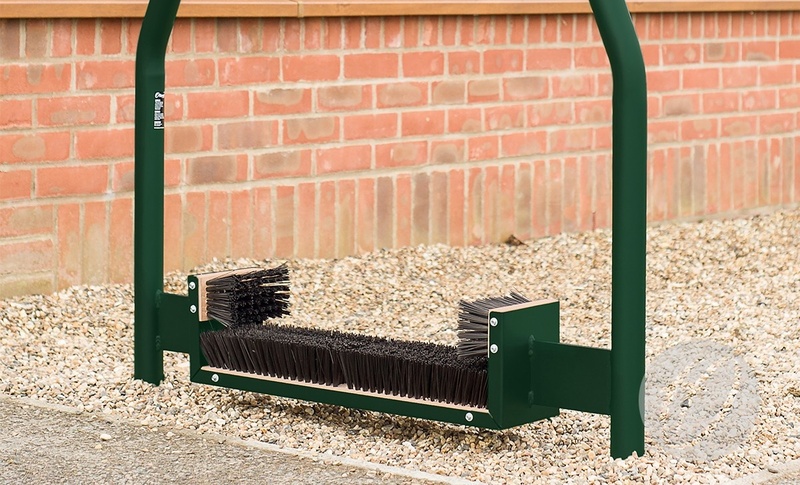 Designed for use outside communal changing areas, the Premier Boot Wipers are extremely sturdy and hard-wearing, manufactured from 50.8mm diameter steel and polyester powder coated green. Base plate welded to the bottom for stability when concreted into the ground. Q: Can the Premier Boot Wiper be concreted directly into the ground? A: Yes these can be concreted directly into the ground.